Hammer kit bag travel protective cover 2016 We've designed this cover specifically to get beat up on the airlines instead of your bag getting beat up. 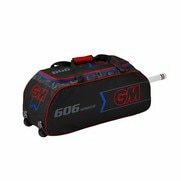 Try it now..
Hammer Players Duffle Cricket Kit Bag . 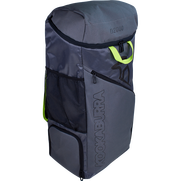 Once you have all your cricket equipment, it is important that you store and transport your cricket gear in the best possible way, this is obviously by means of a cricket kit bag. 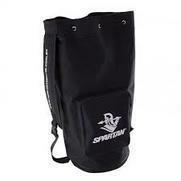 Cricket Store Online has a wide variety of cricket kit bags and cricket duffel bags. We pride ourselves in updating the stock regularly so that our cricketers enjoy the benefits of all the latest things that are being built into the great kit bags we stock. If you already own a bag but want a specific place to keep your bat, or you want a separate place for your bat, it may be worth looking at one of the specific bat covers that we stock. While most cricket kit bags have an integrated specific place for your cricket bat, many of the bags we stock have enough place for two bats. There are cricketers that have lately been preferring the carrying on the back duffle bag options for carrying their cricket kit. The duffel bags are for some easier to transport and a lot of thought has gone into ensuring that they provide sufficient place for everything. Some cricket duffel bags, even have side pockets that can adequately carry and transport cricket bats. 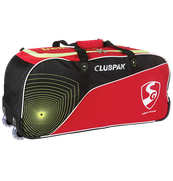 If you are a club or a team that has collective cricket equipment, the duffel bag may be a great option for storing the teams equipment. Your bat is probably the most expensive piece of cricket equipment that you own. It is therefore very important that you make sure that you cricket bat is properly protected. Proper protection from transport hazards and weather elements. The best way to do this is by buying a bat cover. Cricket Store Online offers many full cricket bat covers that cover the entire bat including the handle. We also offer ¾ cricket bat covers that cover everything but the handle. Cricket Store Online agents are ready to help you with all your cricket kit bag needs. 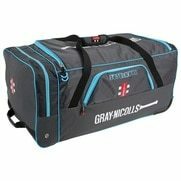 If you need specific advice as to which cricket kit bag would be best suited to the gear that you have, give us a call.